SPIED: Hyundai Elantra AD facelift, M’sia launch soon? 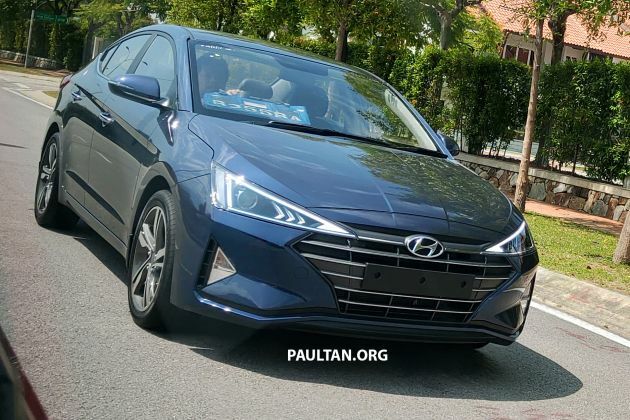 Look what we have here – a reader has sent us photos of the facelifted Hyundai Elantra AD being trialled on Malaysian roads, suggesting an imminent local launch. It looks like the gestation period for this heavily-restyled sedan is going to be shorter than expected (the pre-facelift AD did take nearly two years to get here, after all), as its appearance here comes less than a year after it was revealed to the world in August. The exterior sees a comprehensive (and polarising) overhaul, consisting of the company’s latest Cascading Grille intersected by Doritos-like triangular headlights, with another pair of triangular fog lights sitting underneath. At the rear, the reshaped tail lights get funky lightning bolt-shaped graphics, while the number place recess has been moved to the bumper, forming part of the new diffuser-style insert. While we don’t get a look on the inside, expect a few minor changes to be made, such as the climate controls and instrument faces. As for the mechanicals, the Elantra should soldier on with the same engines as before, starting with the Executive’s 2.0 litre Nu naturally-aspirated four-cylinder that makes 152 PS at 6,200 rpm and 192 Nm of torque at 4,000 rpm, paired to a six-speed automatic transmission. The Elantra is currently priced at RM109,888 for the Executive and RM113,888 for the bodykit-equipped Dynamic, all on-the-road without insurance. What do you think of the new look? The post SPIED: Hyundai Elantra AD facelift, M’sia launch soon? appeared first on Paul Tan's Automotive News. 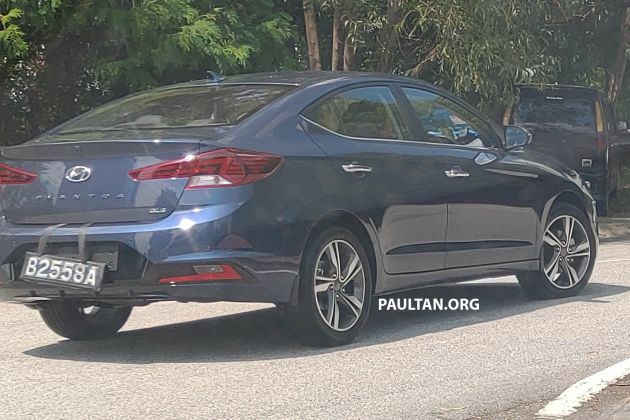 0 Response to "SPIED: Hyundai Elantra AD facelift, M’sia launch soon?"